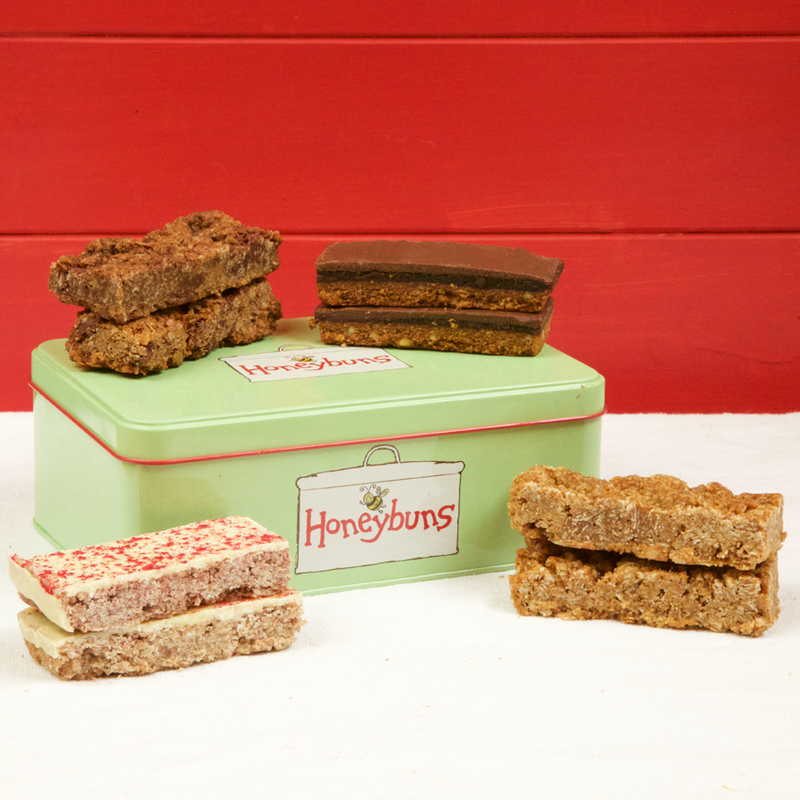 A cute Honeybuns gift tin containing a selection of eight vegan friendly and gluten free cakes. All apart from the Squillionaire are dairy free (the Squillionaire may contain traces of milk). Add your own gift message at the checkout. Suitable for vegetarians. Allergen information can be found here. To view the ingredients for each product, please select the product(s) from the block labelled "This pack contains" below. To view the nutritional breakdowns for each product, please select the product(s) from the block labelled "This pack contains" below.